Available Homes3, 4 BHK Apartments. 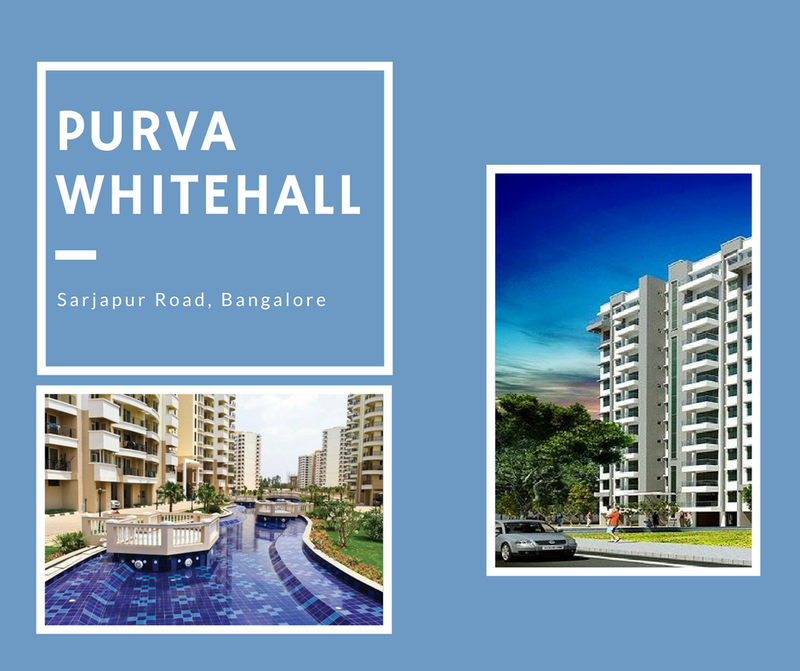 Purva Whitehall : Amazing homes in Bangalore! The magnificent property is surrounded by pristine greenery and offers beautifully designed apartments which are quite spacious and allow you a life of opulence and lavishness which you have always wanted. The property is filled with all modern facilities and conveniences which provide a peaceful and pollution free environment. The complex has a number of apartments in different configurations to meet the needs of home buyers. The project has car parking, entrance plaza, Fitness Park, family pavilion, CCTV Surveillance, and more. The complex has 24-hour water and power supply. There are indoor and outdoor games area, tennis courts, gymnasium, clubhouse, swimming pool, and much more. For fitness freaks, there are running tracks, as well as an amazing array of amenities. Purva Whitehall Sarjapur road has everything that home buyers need. Located in south-east Bangalore, Sarjapur is a much-desired locality in Bangalore. The area is home to Wipro’s corporate campus, as well as other leading IT and ITeS companies. The area provides excellent connectivity via an Outer Ring Road, which has led to the development of the area. There has been a surge in demand for residential property in Sarjapur road with the increasing number of professionals looking for apartments in Sarjapur. Outer Ring Roadhouses IT giants including Accenture, Capgemini, Cisco, HP, and Wipro to name a few. It offers excellent road connectivity, to key IT cluster areas including Electronic City, Whitefield, Outer Ring Road, Marthahalli, Silk Board and Koramangala. Purva Whitehall Bangalore has a number of leading schools including The International School Bangalore (TISB), Orchid International, Chrysalis High, Inventure Academy, Greenwood High, Silver Oaks, Harvest International School, Primus Public School, Gear Innovative International School, Head Start Educational Academy, Delhi Public School, and more. Sarjapur has been called the educational hub of Bangalore, due to the plethora of renowned schools located in the area. This makes it an optimum choice for families. Sarjapur boasts of a well-developed social infrastructure and is in close proximity to a number of malls, hospitals, multiplexes, retail outlets, and banks, which makes it convenient for home buyers. With the upcoming metro connectivity, the area’s demand will increase further. Sarjapur is located just 45 km away from the Bangalore International Airport and 15 km from Kempegowda Bus Station. The planned Peripheral Ring Road will improve connectivity to Bellary Road, Old Madras Road, and Hosur Road. Its strategic location and excellent amenities have made it one of the most demanded projects in Bangalore. Purva Whitehall price is expected to increase in the coming months. So book your home now! 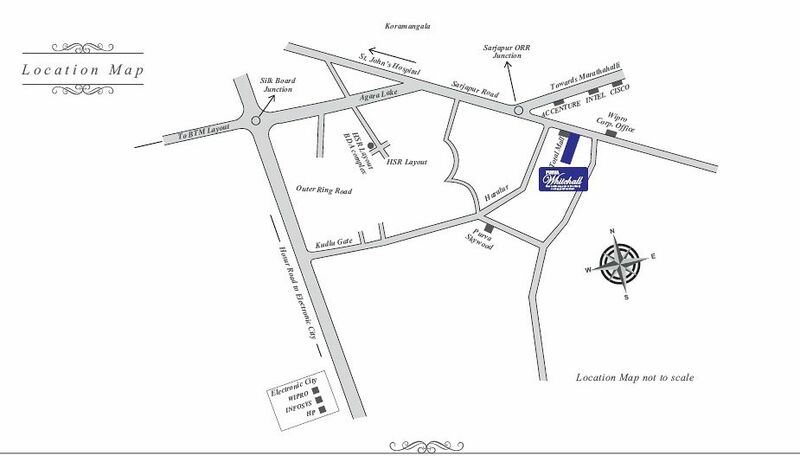 Located Near Total Mall, Sarjapur Road, Kaikondrahalli, Bangalore.